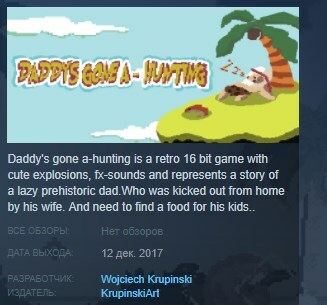 and represents a story of a lazy prehistoric dad.Who was kicked out from home by his wife. And need to find a food for his kids. In Game, you need to fight a lot to enemies in 2 different zones. On your side, you will have your fish company who can make a lot of destructions. The task is not easy and you may die many times, " but do YOU love your kids? "